All photos by Casey Bennet via eskettinyhouse.com. 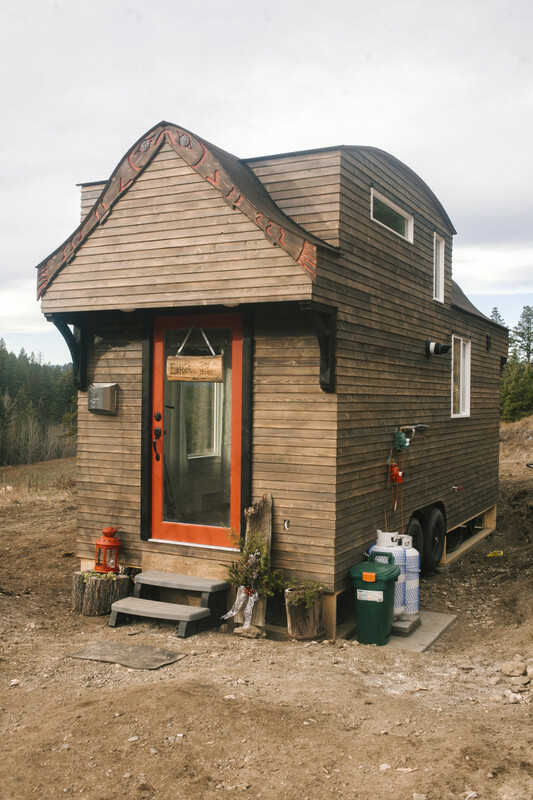 Robert and Bettina Johnson built and own the Esk'et Tiny House, a beautiful little cottage on their property near Alkali Lake that they run as a bed and breakfast. 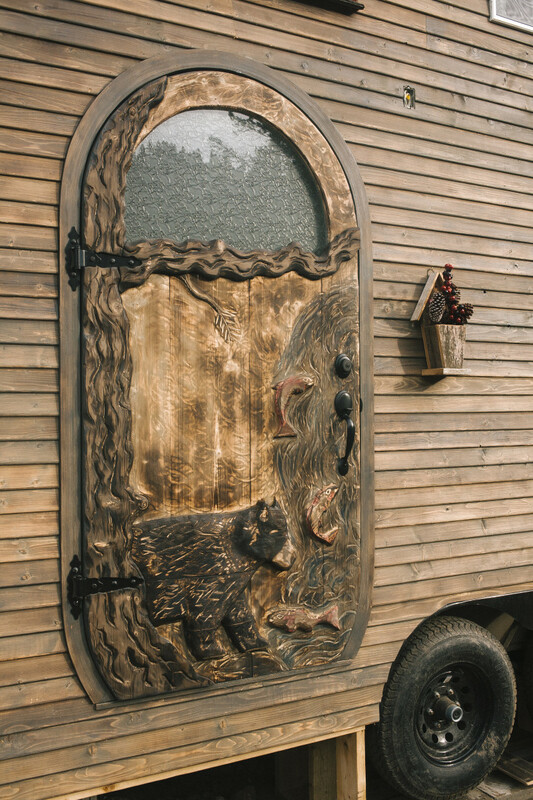 Robert is a member of the Esk'etmc community of the Secwepemc Nation and a carpenter, and Bettina is Swiss and runs their website which includes overnight booking info, a blog, indigenous art for sale, and videos on how to build tiny houses. Their Tiny House sleeps four in two sleeping lofts (one queen, one double) with a full bath. Groceries are provided so that you can prepare whatever kind of breakfast you prefer in the fully functional galley kitchen. The living area has a propane fireplace and there is fire pit with seating outside. The house is also itself a work of indigenous art. 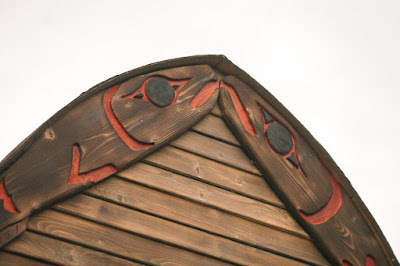 The undulating roof is meant to invoke the idea of salmon, which are also carved under the front rafters, and the side door is intricately carved with bears and salmon. 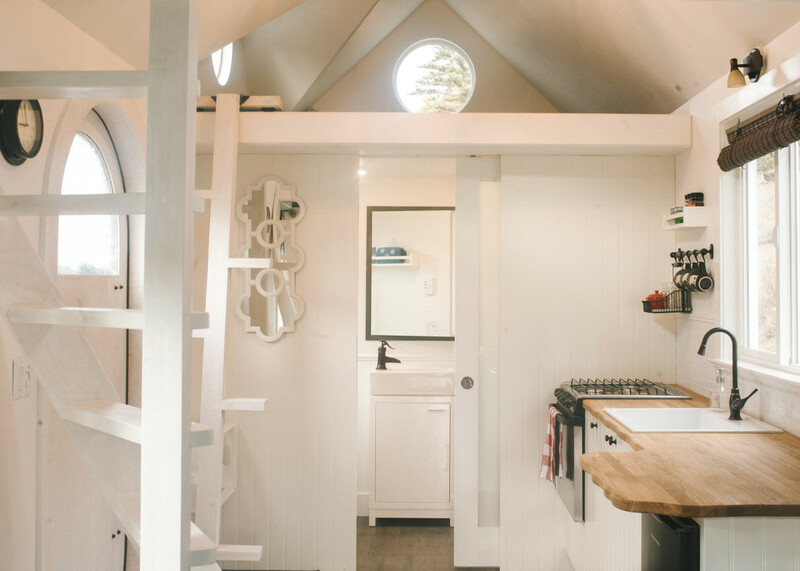 The Esk'et Tiny House rents for Can$139 from October 1st to May 31st and Can$149 from June 1st to September 30th. is equipped with air conditioning. A seating area and mini fridge are also included. It has an ensuite bathroom with shower.